This weekend brought the first outdoor climb of the year for me. It was damp, gloomy and fantastic. 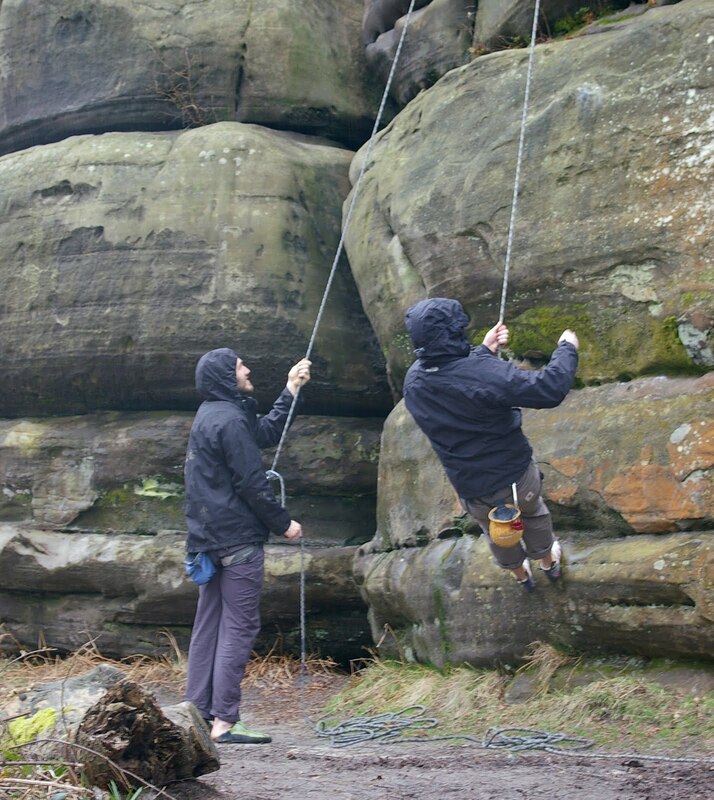 It was so good to be climbing outdoors again, emerging from hibernation. We were up early, on the train, out of London and cycling along country roads before the day’s motorised traffic had established its hold on the tarmac of Great Britain. A Sandstone outcrop in Kent, Harrison’s Rocks protrude from a wooded valley side predominantly covered with Birch. Although covered in buds waiting for their big moment the trees were still leafless, yielding views across the valley and uncovering the railway line running along its base. This, coupled with a lack of many other climbers provided a sense of promise for the year to come, it was barely spring and we were out. A few hours later, wet and covered in mud as we were, it started raining properly and we were forced to retreat from the rocks. A handful of climbs completed at reasonable grades, nothing too major on the first outing. Not enough to get physically pumped but enough to engage with the rock again. 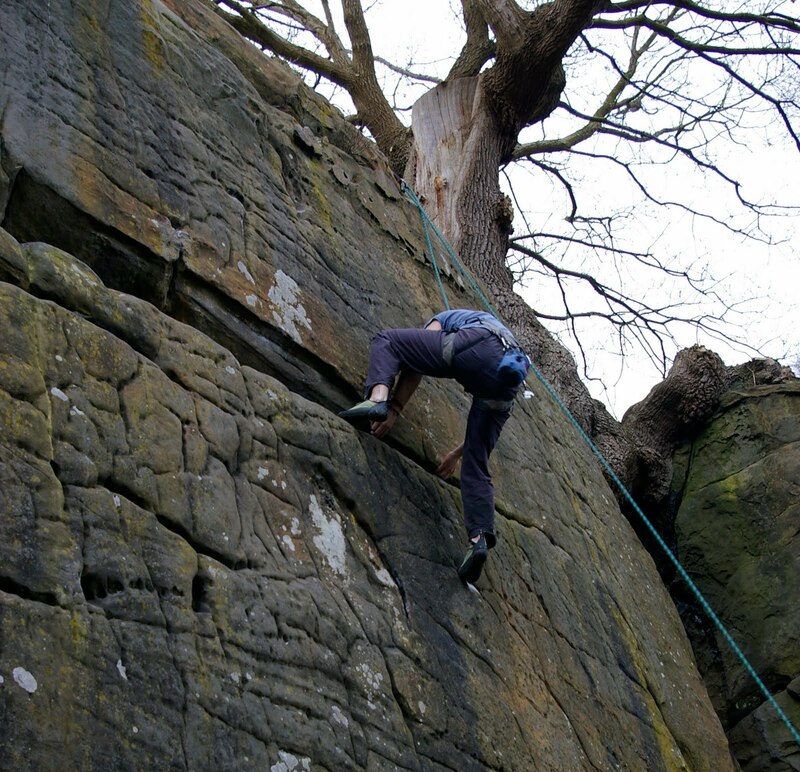 My strange relationship with Sandstone continues, we both know I’d rather be climbing almost any other sort of rock. Its big, rounded holds don’t suit me at all, pulling up and onto a smooth surface simply isn’t my forté, and the loose sand….. No trip is without the frustration of over-complicating some routes that are, on paper, very basic. Yet, it encourages me, allows me to progress and complete some higher graded climbs, unveils some tucked away climbs with beautiful moves. Sometimes it makes me feel like an ungrateful teenager. Still, it remains my most geographically convenient variety of rock and we shall see where this year takes us.